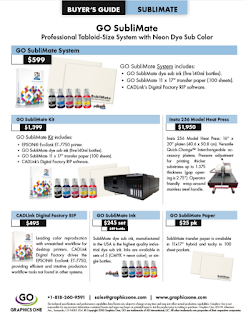 Graphics One will discontinue its GO UV printer branding and will now use the manufacturer’s brand name Compress. This change over will become effective March 1, 2016. 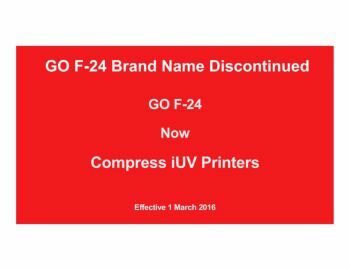 Compress is a division of Impression Technology, Sydney, Australia, and the manufacturer of the UV printers now branded as the GO F-24. Impression Technology and GO have had an increasingly close relationship and it was felt both companies could benefit from using the original brand name. With both companies being very active in marketing there was far more synergy to be gained from having a common brand. Additionally, Graphics One is also working with Pigment.inc, another division of Impression Technology, and closely aligning all of its marketing and distribution activities to take advantage of each company’s strengths.